Drum Circle is OPEN Every Friday night ~ 7p.m. to 9 p.m.
Come to dance, drum or just absorb the good energy! There are a few "public" drums, but bring your own if you have one. 150 to 250 people each week. 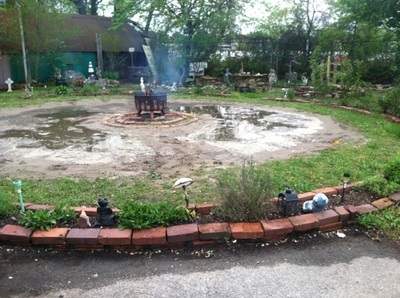 While the majority of attendees are Pagans, Drum Circle is always open to respectful seekers of all faiths and spiritual paths! What goes on at Drum Circle? Why do we drum and dance? 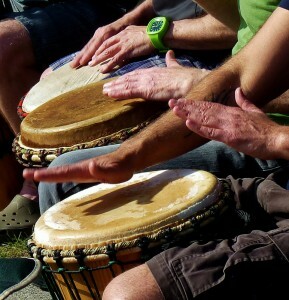 The most important purpose of Drum Circle is to heal others with energy. Each Friday, there is a healing list where you can write the names of those in need of healing -- physical, emotional, etc. We ask the drummers to drum a heartbeat, and dozens of people collectively focus and send that energy to help heal, prosper and soothe those in need. We get calls from all over the country to be put on the list. Our drummers ROCK THE UNIVERSE!!!!! 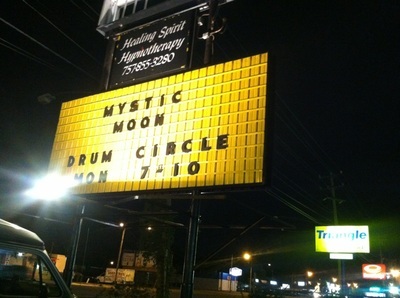 Drum Circle has become a hub for our community and we at Mystic Moon are proud to host such an event. Hope to see you here! Be over 18 or with your parent or legal guardian. Totally refrain from rough-housing and horseplay. NEVER bring alcohol or drugs. Remembering that this is a spiritual event. Come in peace and regard for sacred space. First time here? Let us know at the register or the entrance desk for Drum Circle. 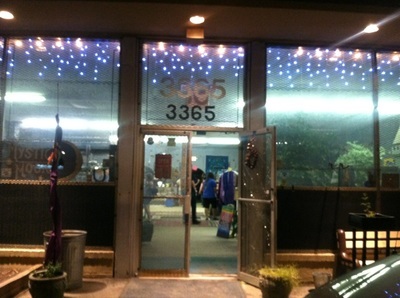 We'll answer any questions you have, and give you a tour!